The program is funded from the proceeds from the sale of Woolworths 'Bag for good' which was launched in June last year when the supermarket removed single-use plastic shopping bags across all stores nationwide. Since the move the supermarket has taken more than two billion single-use plastic bags out of circulation. 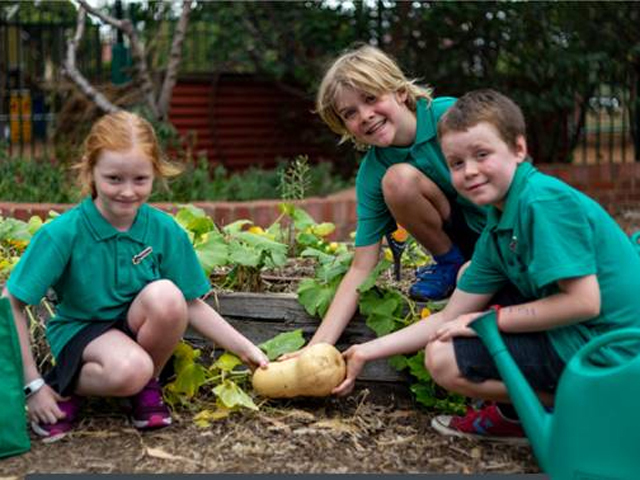 Woolworths Supermarkets Managing Director Claire Peters said; "We are so proud and excited to announce the first successful recipients for the Woolworths Junior Landcare Grants Program. "It was clear to us with the large number of applicants to the program that Australian youth are actively involved in creating sustainable projects and are natural champions at doing their bit to help create a greener future for our country. "These grants are made possible with the support of customers who have purchased the Woolworths 'Bag for good'. We are investing half a million dollars directly in this first round from the sale of the bags, back in to our local communities to help inspire the next generation of environmental champions." Landcare Australia CEO, Dr Shane Norrish said; "This fantastic response shows the community's passion for caring for the environment. Junior Landcare offers opportunities for sharing knowledge, developing skills and creating experiences that foster connections with the environment and community from childhood to adulthood. "It is gratifying that these grants will enable thousands of children to be inspired to play an active role in ensuring the safe future of their environment."